July 21, 2012 by Theresa B. Clarke 1 comment on "JMU’s iMBA Program Offers New Elective Incorporating the Google Online Marketing Challenge (GOMC)"
I am very pleased to announce that James Madison University’s Innovation MBA (iMBA) Program will be offering a new course incorporating the Google Online Marketing Challenge (GOMC). Given the mission of the iMBA program, “Leading through Innovation with Technology and People“, the Google Challenge is quite fitting. The GOMC is a global online marketing competition where students work in teams to develop an online advertising strategy for a real business or non-profit organization. Using a budget of $250.00, teams execute their strategy in Google AdWords and use optimization techniques to run and refine the campaigns for three weeks. Google and a panel of independent experts select winners based on the success of the campaigns and the quality of reporting. Teams working with non-profits are eligible for a Social Impact Award. As an optional component, there is a Social Media Award for teams that want to create and maintain a Google+ Page (along with the AdWords campaign) for six consecutive weeks. For detailed information on the GOMC, prospective students are advised to refer to the Google Challenge Competition Guidelines. I have been teaching the Challenge since its inception in 2008 and find it to be one of the most rewarding experiences of my academic career. JMU undergraduate students have performed well in prior competitions (e.g., 2008 Regional Finalists, 2009 Americas Regional Winners, and 2011 Americas Regional Winners. ), so I am excited to see what our iMBA students can do in the GOMC. The first offering of this new course, listed as MBA 678 – Special Topics in Online Search Advertising, will be in the spring of 2013 during the 4th block. It will count as one of the MBA electives in the iMBA curriculum. 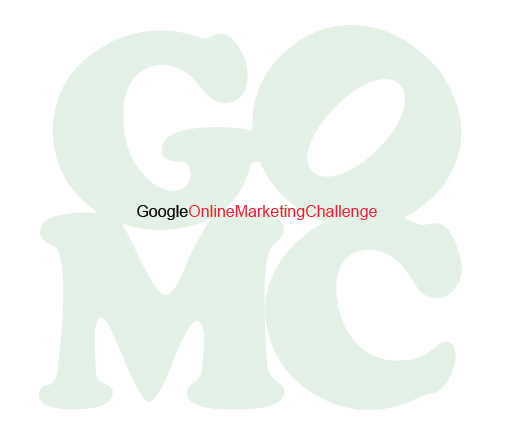 To participate in the 2013 Google Online Marketing Challenge, complete the GOMC Application no later than October 15, 2012, by noon EST. Students will be notified of their acceptance prior to graduate registration. 1 Comment on "JMU’s iMBA Program Offers New Elective Incorporating the Google Online Marketing Challenge (GOMC)"